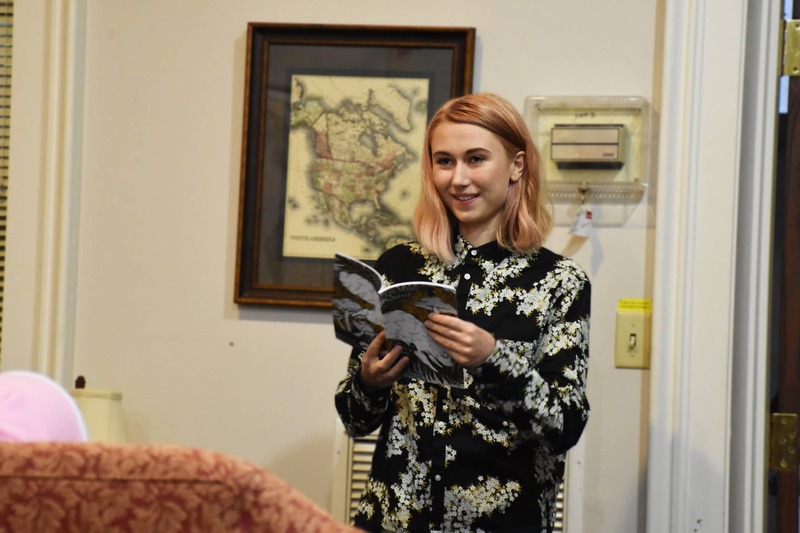 University of Louisville student writers gathered in the Honor’s Overseers House Oct. 25 to be part of the release party of the White Squirrel’s landmark fifteenth issue. The White Squirrel is the Honors Program’s student-run art and literature magazine. At the end of each fall semester the organization opens up a call for submissions from U of L student writers. During the spring semester, the group then holds open panels where students can help pick what pieces go into the magazine for the following issue. The magazine features prose, poetry and visual art with a well-designed and cohesive look from start to finish. “We had a sizable amount of submissions to sort through for this edition. I don’t have exact numbers for prose and art, but we received about 80 poems. It can be difficult to decide what to include, but it’s a process that we enjoy and take care to complete,” said Raymond Hale, the current poetry editor for the journal. The magazine’s fifteenth issue is something special this year. “In this volume especially, similar feelings and occurrences are expressed from different perspectives, underlining both the universality and diversity of the human experience,” said executive director Zofia Hetman in her letter to the readers. At the release event, contributors to this issue of the magazine read work they submitted while others signed up for the open mic that followed their readings. “Our release night and open mic had a number of fantastic student writers come to read, and we plan to have more events like this in the future,” Hale added. Submissions for the next issue open Nov. 1 and remain open until Jan. 30. Copies of the White Squirrel’s literary and arts magazine can be purchased in the Etscorn Honors Center.